Discussion in 'Transportation' started by Daniel Wendt, Feb 12, 2018. I will be going to Orlando in late April of 2018 and wondering what people all have received from Alamo for a Premium Crossover. We will have an infant and a toddler so I am looking for a car with nice sized trunk space and also Leather interior.....if I need to upgrade to a different vehicle, I certainly can. We arrived on Feb.11 and have an Infinity QX60. At first she was going to give us keys to a Jeep Cherokee, but I asked if they had an Infinity, lucky us. There was a Dodge something, and a Cadillac something. We love the Infinity. We have 4 adults and a 2 month old with us, with stroller and infant seat. There was a minivan in the full size aisle, but someone beat us to it. Can anyone else help please? I don't remember which type of Jeep. Our Infinity had leather and was a great ride, loved it. Ours seated 7 but the infant and two adults were comfortable in the middle row, so we had lots of space for two large bags, stroller and carryon. I had reserved a premium car for a week and was just upgraded to a premium crossover. I got a 2018 Audi Q5 with 350 miles on it. There were no premium cars in the spots, so the woman in the booth said she would give me a few options. The Audi, a Cadillac XTS, and an Infiniti qx30. I jumped at the Audi. They had the keys in the booth for these vehicles. Premium car or premium crossover? It sounds like a lot of the above may have been premium cars. I now have a premium suv booked. Wondering if it’ll have leather and navigation? I emailed Alamo and asked what was in their Premium Crossover fleet and below is what they told me. I rented one this past weekend, we got a QX60. They don't have an aisle for the premium crossovers, so only have a few to offer. They can find you something that fits your needs, though. It seems they are still in the same "take what you want" type of mode there. I don't think they can keep up with demand enough to be picky about car classes. Note that if you plan on paying through the phone you have to complete all of that BEFORE talking to the agent, so making double reservations just in case doesn't really work there for Premium Crossovers. 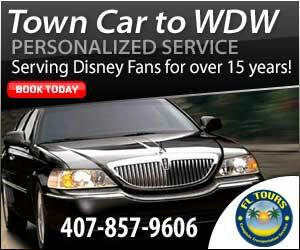 Has anyone had any experience with renting a premium crossover at MCO recently? The previous poster mentioned that there wasn't an aisle for them in the past. Just wondering if there have been any changes since last year. My DH rented a premium crossover last month and got a Nissan Armada.